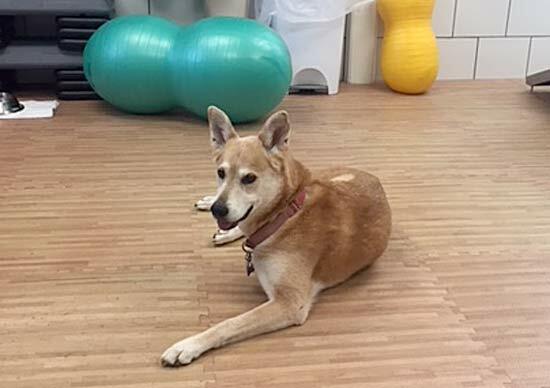 Tripawds Community member tamtam is recipient #40 of the Maggie Moo Fund for Tripawd Rehab. 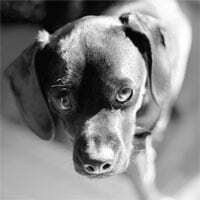 Read on for details about the benefits of canine rehabilitation for Zoey. 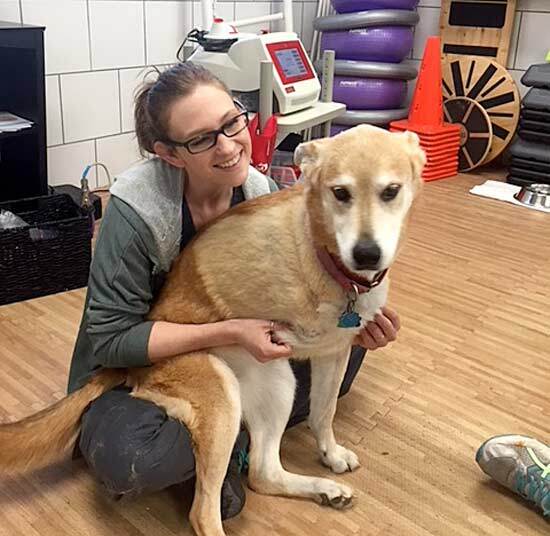 See all Tripawds who have received free rehab sessions and read details about how you can get reimbursed for a certified rehabilitation evaluation thanks to your support. Help Keep This Program Going! NOTE: This program may be cut without your support! Please read about the 2018 Tripawds Summer Fundraiser for details. This is Zoey who is 11 years old mixed breed part husky and maybe lab, she was diagnosed with osteosarcoma and had her front right leg removed April 6. She came home same day and was in pain but next day she was doing so much better. Thankfully I had read up on the Tripawds site that the first day was rough so I expected it. On June 8 Zoey went to see Dr. Lauri Geater at All for Pets in Cabot, Arkansas for PT consultation. The visit was great and Dr Geater tested Zoey and found she was in good shape and she showed me all the different exercises and went over how to do them and what each one worked on. Zoey is to do the exercises every day. She does range of motion where I hold treat towards her ribs and she turns that way. With Zoey lying down I bring forelimb backwards toward back leg aiming elbow for the spine. With Zoey in a side lying position I bring forelimb gently forward toward her face, stabilize above elbow with one hand while gently bringing the lower portion of the leg up towards it. Stabilize with one hand while gently bringing lower portion of the leg away from the upper portion as if trying to straighten the elbow. Have Zoey to stand up and put front leg on couch and keep her there for few seconds to build up muscles that leg. Balance Board: Have Zoey stand and balance on it and eventually walk across balance board. Yes, I keep the copies of all the exercises out when we do them because there is no way I can remember exactly how to do each one. Zoey is doing so well that the night before we went to the appointment the lawn guy left the gate open and I didn’t see it when I let the dogs out and Zoey actually went about 2/10 a mile down the street on her little adventure. I adopted Zoey from NLR shelter September 2008 and a few days later she came down with distemper, she survived that and then next year diagnosed with heartworms and made it through that treatment. I call her my million dollar dog but she is my hero, she has shown me she still has time left to spend with me and her sister Hazel. I am so grateful for Tripawds , I actually found it when I just Googled dogs with 3 legs when I was considering doing the amputation. This site gave me the information and the support I needed to make it through the decision making and her recovery. I am so thankful and when I am financially able to I am going to donate money so that all you do can continue. Support Tripawds to Maintain This Program! Glad you are able to take advantage of this program! What a story on Zoey..she is lucky to be with you! I am completely heartbroken, I chose Monday September 17th to end Zoey’s pain. On August 31st we discovered the cancer was now in her lungs and where her leg was amputated the cancer had spread there and was getting larger. Zoey was having some trouble breathing and she wasn’t getting around as good as she had before and I would not let her suffer. She was still the loving dog she always was even with the wagging tail but she was ready to go. I miss her with all of my heart and I would give anything to have her with me but I love her more than that. Her sister hazel misses her also and is grieving. I am so thankful to this group for all the knowledge and courage it gave me. Tripawds will always have such a special place in my heart. So sorry for your loss…such a sweet soul. Peace.